LG has not one, not two, but three interesting high-end smartphones expected to be released over the next few months, including a G8 ThinQ that may or may not resemble those recently leaked renders, a 5G-enabled handset reportedly called V50 ThinQ, and a more distant, mysterious foldable device to take on the likes of the Samsung Galaxy Fold. In case you’re wondering how we can know the identity of an LG-made phone revealed to pack the aforementioned battery capacity under model number BL-T41 by Brazil’s National Telecommunications Agency (Anatel), the answer is actually very simple. Perhaps that’s what LG’s head of global communications meant when disputing the accuracy of the first batch of leaked CAD-based G8 ThinQ renders. Of course, in the meantime, we’ve seen the phone pictured in press-friendly quality again, including that exact name imprinted on its back. But let’s focus on what’s truly important here. We now know the battery size of the LG G8 ThinQ (or LG Alpha), and... it’s not bad. It could be (much) better, but if the 3,400 mAh number does pan out (which is almost guaranteed), the G7 ThinQ will probably be left in the dust in terms of actual endurance between charges. That’s because the company’s early 2018 flagship came with a fairly unimpressive 3,000 mAh cell that nevertheless performed decently in our extensive testing, trumping the 3,300 mAh juicer of 2017’s LG G6. Meanwhile, the LG V35 ThinQ lasted more on a single charge in our standard battery benchmark, but the V40 ThinQ was quite the disappointment. The two shared a 3,300 mAh battery, but the latter came with a much bigger screen. If recent rumors are to be trusted, the LG “Alpha” could pair this sizable new 3,400 mAh cell with a 6.1-inch or so OLED panel. Unless the new Snapdragon 855 processor proves to be a major energy drainer, the G8 ThinQ should be able to match the solid battery life results of the V35 ThinQ. Then again, the LG G8 ThinQ is expected to see daylight alongside a V50 ThinQ already confirmed to offer a whopping 4,000 mAh of juice. That's going to make it extremely hard for anyone to care about the "Alpha", regardless of the price difference between the two new LG high-enders. If LG Mobile wants to start making money again, the company needs to better compete with Samsung. But if the G8 ThinQ does indeed sport a wide notch, it’s going to be difficult to steal the thunder of the “Infinity-O” Galaxy S10. On the bright side (for LG), this same Brazilian National Telecommunications Agency recently revealed the “regular” Samsung Galaxy S10 packs a 3,300 mAh battery. Other sources point to an identical screen size with that of the G8 ThinQ, giving LG a slight (theoretical) edge in battery life. But Sony could totally obliterate the MWC 2019 competition by squeezing a colossal 4,400 mAh battery into a remarkably thin 8.2 mm Xperia XZ4 body. Granted, we’re talking about a significantly larger and taller handset there. Nonetheless, if that rumor proves legit, LG will have an even harder job of making the “Alpha” stand out from this spring’s high-end pack. 3400 mAh and the phone will probably be stupidly tall. No go. Stop living in the past phonearena authors. 4000 mAh is not whopping or huge or gargantuan or any other hyperbole "big". It has quickly become standard basic entry to the major league of top end phones: Note 9: 4000 mAh Mate 20 Pro: 4200 mAh Mate 20 X: 5000 mAh Galaxy S10+: 4000 mAh (rumoured) Sony XZ4: 4400 mAh If you want to play with the big boys : 4000 mAh is now the bare minimum. 4000 is not gargantuan, it's standard. 5000mAh is not gargantuan, it's big. When we start go get to near 6000 mAh (Mi Max 4 Pro, 5800 mAh, low-speed SoC, we start nearing gargantuan). Xiaomi, Lenovo, OnePlus, Oppo and others need to up their game. 4000 mAh is the new standard. Everybody else, go home. 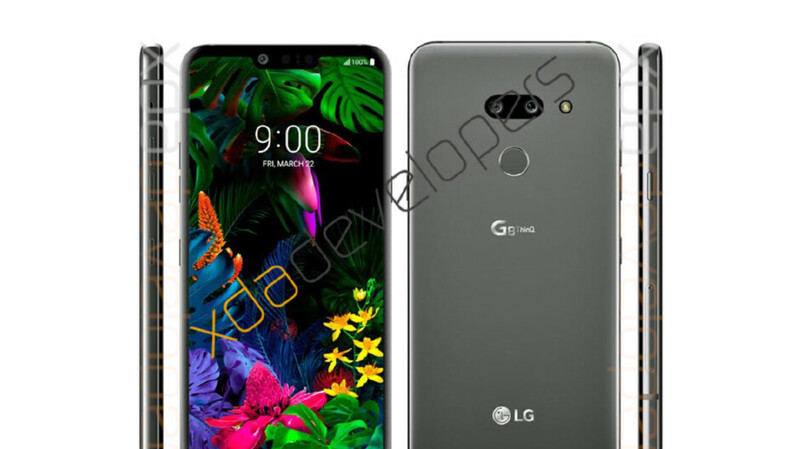 LG G8 with 3500mAh typ. 3400mAh min.